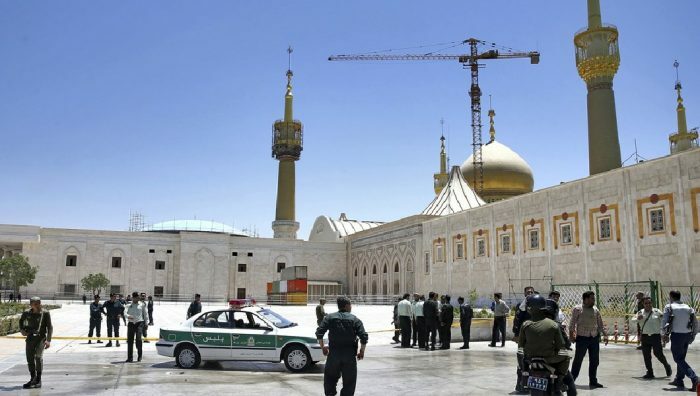 The attack claimed by ISIS on Iranian targets the other day, including the Parliament building that killed 17 people, would normally be cause for universal condemnation and sympathy for the dead and wounded, but only the Iran lobby can find a way to use tragedy for its own purposes as various groups stepped up the rhetorical assaults against Saudi Arabia and the U.S. Most notable was the National Iranian American Council which issued a full broadside of press statements, tweets, editorials and media interviews all focused on blaming Saudi Arabia, the U.S. and Iranian dissident groups for the attack. It is interesting Parsi uses the same language as the Iranian regime in depicting Iranian dissident groups as “terror groups” knowing full well these groups are largely engaged in humanitarian efforts, information and news gathering and exposing the corrupt practices the regime government. But more interesting is how attempting to reset the debate away from the recent history of Iran’s involvement in the bloody civil war that helped spawn ISIS in the first place, but instead pivot to accusations against Saudi Arabia and foreshadowing military action against the kingdom from Iran. Parsi said aggressive statements by Saudi leaders have “created a context in which the IRGC can convince the Iranian public not only that the Saudis were connected to Wednesday’s attack, but that the U.S. is also connected,” even if there may not be any evidence for such. According to Vice News, hours before Wednesday’s attacks, Saudi Foreign Minister Adel al-Jubeir characterized Iran as the leading sponsor of terrorism and called for action to be taken against it over its destabilizing actions in the region, where it is involved in Lebanon and Yemen, as well as Syria and Iraq. In turn, Iran blamed Saudi Arabia for supporting the rise of Sunni extremist groups in the region. Parsi has laid out the argument justifying military action against Saudi Arabia now that the mullahs in Tehran feel they have justification now to engage in even more provocative action. Whereas supplying the Houthis in Yemen to threaten Saudi Arabia’s border was seen as the extent of Iranian actions, Parsi is now laying the intellectual foundation for an ever-widening war. A curious position for the NIAC to take since its stated purpose is to help resolve differences among Iranian-Americans. But there is a broader agenda at play here since legislation is moving through the U.S. Senate now to impose new sanctions on Iran for violations of ballistic missile testing. Parsi and his cohorts in the Iran lobby see new sanctions as an existential threat to the Iranian regime and doing all they can to reset the debate away from Iran and even cull some sympathy from the attacks. The NIAC is now vigorously attacking the sanctions bill and attempting to leverage the ISIS attack into an argument that passing the legislation would even hamper the fight against ISIS. A corollary to that argument is the opposition by the NIAC to the designation of the Iranian Revolutionary Guard Corps as a Foreign Terrorist Organization (FTO) by the Trump administration. The NIAC’s Adam Weinstein authored an opinion piece in Defense One arguing that the IRGC was a key element in the fight to oust ISIS from Mosul, Iraq. “The success of this offensive is in large part due to the ability of the Iraqi army to act as an intermediary between Iran-backed militias and U.S. troops. However, a Senate bill, the Countering Iran’s Destabilizing Activities Act of 2017, will likely lead the Trump administration to label the IRGC as a terrorist group. Combined with the administration’s increased alignment with Saudi Arabia against Iran, this step threatens to fracture this de facto coalition in Mosul, detract from the fight against ISIS, and recklessly endanger the lives of U.S. forces,” he writes. It’s a stretch of an argument since IRGC troops are now in the forefront in Syria engaging with U.S.-led forces, even to the point where the U.S. warplanes attacked an Iranian-backed convoy of Shiite militias as it approached U.S. bases. That hardly sounds like the actions of a U.S. ally determined to fight ISIS. In fact, the truth is Iran’s play in Syria has always been to target anti-Syrian regime forces and largely leave ISIS forces unscathed. Even after persuading Russia to enter the fray, Iranian officers providing targeting data to Russian warplanes not of ISIS positions, but often anti-regime forces and civilian targets in areas controlled by rebels. What Weinstein, Parsi and their colleagues fail to recognize is that Iran’s own actions are the determining factor in how the U.S. is going to shape its foreign policy. So long as Iran continues the slaughter in Syria, pushes Saudi Arabia with the Houthi rebellion in Yemen, and broadens tensions with its support for Qatar, as well as increasing turmoil in Bahrain, then the regime is going to reap what it has sown. Consistency of thought has never been the strong suit for members of the Iran lobby such as the National Iranian American Council. Often staffers from the NIAC write editorials that passionately argue to right some perceived wrong being perpetrated by the U.S. government, while at the same time ignoring the exact same violation being committed by the Iranian regime. Take for example the issue of detention of Iranians within the U.S. under the Trump administration’s new immigration rules versus the long-running policy of the mullahs in Tehran of snatching up and imprisoning dual-national citizens. While the attention to this case seems to be the primary focus of the NIAC, the notorious supporters of the Iranian regime are virtually silent on the same practice by the mullahs in arresting dual-nationals such as Iranian-Americans on bogus or secret charges and held in deplorable conditions. Consider the long-running saga of British charity worker Nazanin Zaghari-Ratcliffe who was arrested at Tehran Airport on April 3 last year while visiting family with daughter Gabriella. She was imprisoned for five years in September for allegedly plotting to topple the Iranian government and lost an appeal against her sentence in January but maintains her innocence. On Sunday – the 365th day since the arrest – family and friends gathered at Fortune Green close to Zaghari-Ratcliffe’s home in north-west London according to the Standard. Supporters tied yellow ribbons to a tree in the park along with quotes from inmates at Evin prison in Iran, where Zaghari-Ratcliffe is being held, describing what they would do with one day of freedom. “I just sit back and watch you two play. This is the image I had most when in solitary confinement. The NIAC makes no mention of her incarceration, not even a plea for humanitarian release because of her sharply declining health and denial of adequate medical care. Why the double standard? One of the more stunning double standards was an editorial in the Atlantic Council by NIAC’s Adam Weinstein which argued why Iran views its ballistic missile program as a “red line” that warrants full protection by the mullahs. He predictably recounts the same old arguments from Iran’s experiences in the Iran-Iraq War in which Saddam Hussein showered Iranian troops with missile barrages and how the mullahs in Tehran vowed to develop their own missile capability to defend themselves in the future, especially as a deterrent from perceived enemies such as the U.S. and Saudis. Weinstein argues—incredibly—that alleviating Iran’s sense of vulnerability might be a better way to approach Iran. Using his logic, if your neighbor has decided to arm himself and occasionally takes shots at you, Weinstein argues that you should be the one of reassure your violent neighbor, not the other way around?! Weinstein even stretches his bizarre logic by trying to tie into a historically revisionist view of Shi’ism portraying it as choosing pragmatism over ideology. Not many Syrians or Yemen civilians being subjected to Iranian bombs, mortars, rockets, drones and militia would find any proof of that sentiment. What Weinstein never discusses though is the rapid development of Iran’s missile program in creating and testing ever more powerful boosters designed to reach intercontinental distances and lift capability approaching via nuclear payload capabilities. Why Iran needs a ballistic missile with the range to reach into New Delhi or Rome is never mentioned by Weinstein because there is no reason other than to hold a dagger over Europe, Asia and the rest of the Middle East like the sword of Damocles. But that double standard is nothing new to the Iranian regime as Iran’s Foreign Ministry called on the United States to pressure its regional allies into abandoning their support for terrorism and not level “malicious” allegations against the Islamic state. Foreign Ministry Spokesman Bahram Qasemi made the statement on Saturday, reacting to earlier comments by US Defense Secretary James Mattis claiming that Iran continued to sponsor terror, Press TV reported. 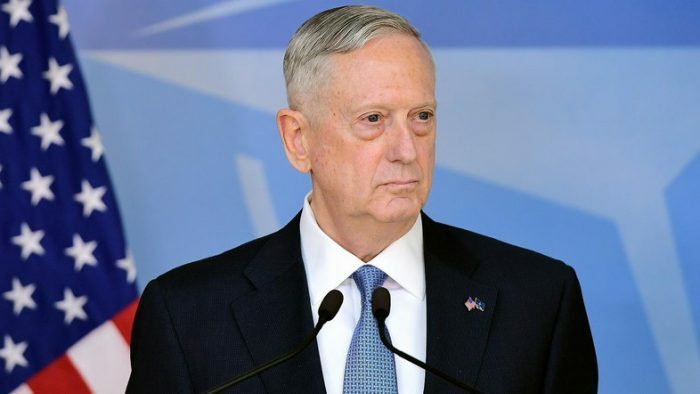 Asked about comments Mattis made in 2012 that the three primary threats the United States faced were “Iran, Iran, Iran,” Mattis told reporters in London on Friday that Iranian regime’s behavior had not changed in the years since. In today’s turbulent political environment there is not much anyone agrees on, except that maybe the New England Patriot comeback in the Super Bowl was astounding or that the Chicago Cubs win of the World Series was historic. Other than that, most politicians can’t even seem to agree on the weather and what causes a shift in temperature day to day. On one topic though there seems to be a growing bipartisan consensus, not just in the U.S. but around the world and that is more needs to be done to rein in the intransigence of the Iranian regime and the threat posed by its burgeoning military and ballistic missile program. “The act establishes new sanctions targeting Iran’s testing of ballistic missiles and its backing for terrorism, and also seeks to block the property of any entity involved in the sale of arms to or from Iran. It does not reintroduce sanctions lifted from Iran as part of the 2015 nuclear deal.”) In a summary released last week, senators described potentially far-reaching measures including mandatory sanctions on those involved with Iran’s ballistic missile program, new sanctions against the Islamic Revolutionary Guard Corps and a requirement for the president “to block the property of any person or entity involved in specific activities related to the supply, sale, or transfer of prohibited arms and related material to or from Iran,” Rubin added. But it wasn’t just on Capitol Hill where there was unanimous consent as all 15 resolutions passed by the Arab summit which took place in Jordan Wednesday were devoted to an indictment of Iran, its Revolutionary Guards Corps and Lebanese surrogate, Hezbollah. They were a testament to the depth of Arab-Iranian animosity and exposed the extent of the rift between the Sunni and Shiite Muslim worlds. Iran was accused of meddling in the internal affairs of Arab nations, inciting Shiites against Sunnis, and arming and training Shiite terrorist groups for operations against legitimate Arab governments. The Arab rulers combined to put Tehran in the dock for its interference in the Syrian civil war and assault on its sovereignty. 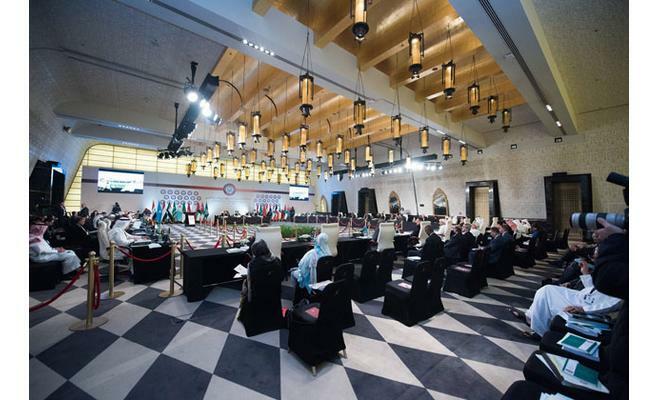 It was notable that at an Arab summit that has in the past concerned itself with issues related to Israel and the plight of the Palestinian people, the entire focus of the summit was on the Iranian regime; demonstrating how important the issue of confronting Tehran has become to the wider Arab world. In the annual AIPAC conference a clearer united vision of the importance to oppose the Iranian regime was surfaced. American authorities and law makers used the opportunity to show their unanimous visions on the threat they feel from the Iranian regime and the need to take action to contain the growing destabilizing activities of the mullahs in the region. McConnell criticized Iranian regime’s nuclear deal, saying that it disabled the United States from taking more aggressive steps against Iran. Meanwhile the Iran lobby was once again beating the war drum in an editorial in Huffington Post by Jamal Abdi of NIAC Action and Adam Weinstein of the National Iranian American Council, in which they claimed that this bipartisan consensus would only provide incentives for the U.S. to be plunged into a war with Iran at the behest of President Trump. They go on to argue that if the proposed sanctions bill passes, Tehran would respond negatively and all the positive gains made by the nuclear deal would evaporate. What positive gains? Since the deal was agreed to, the Iranian regime has broken every promise of moderation, stability, peace and partnership made by the NIAC and other Iran lobby supporters. The harsh proof of Iranian regime’s track record over the past years has been so convincing that a bipartisan consensus is seen among both houses of congress to try to oppose the mullahs in Tehran.